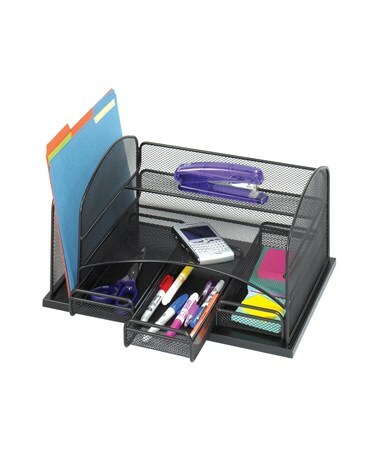 The Safco Onyx Organizer with 3 Drawers is a sturdy unit that gives additional desk storage and keeps items and files organized. Despite having multiple compartments, this desktop organizer does take up too much desk space. It features three horizontal compartments of different sizes with three small drawers at the bottom compartment for storing office supplies. It also has a vertical section for keeping documents, notebooks, or files. 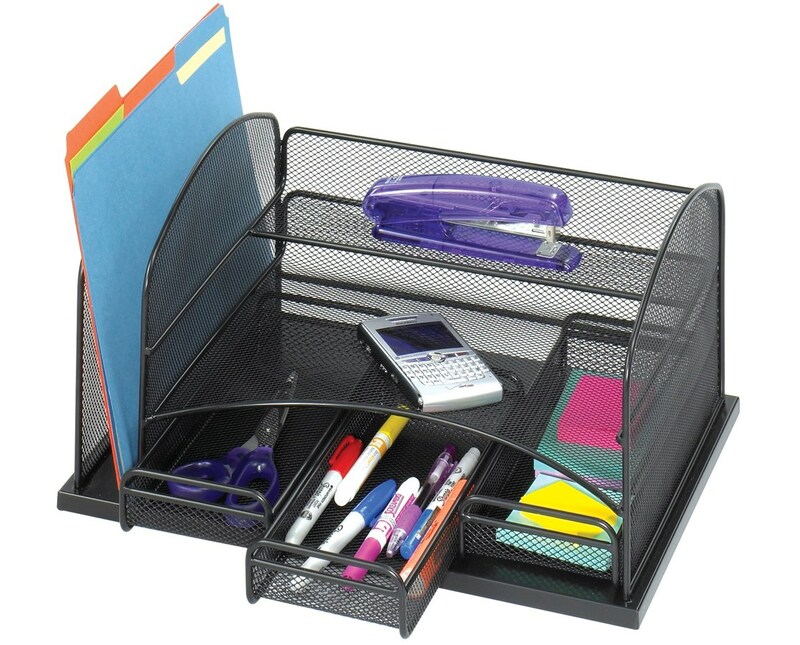 This organizer is made of steel mesh with a powder coat finish. It is safe for indoor use as certified by GREENGUARD.